When people think of pizza, they envision Old World Italy and a streaming pie coming out of a wood fire pizza oven. Yet the origins of wood-fired pizza do not begin in Italy. In fact, people have been using wood-fired ovens to bake for thousands of years. From ancient Greece, to King Tut’s time, humans have been using wood fired ovens to bake breads and other dishes. And without these early culinary contributions, we may not have pizza today right here in Sydney. Who would want to live in a world without pizza? Historians have taken a keen interest in the origins of pizza, and their research leads them to ancient Egypt, where the wood fire oven was widely used. Anthropologists have found evidence that Egyptians used wood-fired ovens to bake breads that were much like pizza crust. This early pizza-like dish was topped with spices and herbs and in some cases sauces, and this is the earliest version of “pizza” known. Elsewhere, in the world, the ancient Greeks also began baking flatbreads in wood-fire ovens in their early history. The Greeks like the Egyptians were also using spices and herbs, as well as hummus-like spreads, olive oil and cheese. The Greeks’ and Egyptians’ pizza-like dish had also spread throughout the Mediterranean. In Pompeii, a Roman outpost in southern Italy, the people there had begun using wood fire ovens to bake breads and other dishes. At Pompeii’s well-preserved ruins, you will find more than 20 early restaurants that look like modern-day pizzerias, all of which are fitted with masonry ovens that still stand today. Most historians agree that pizza likely originated from Italian focaccia, a bread dish that has been made since Roman days. This was likely what they were making in Pompeii. Just around the corner from Pompeii sits Naples, a major southern Italian city that boasts the title as the birthplace of the pizza. In Naples, bakers have been using wood fire ovens to bake for years, but the Neapolitans first started garnishing their breads with cheese and oil during their early history. Yet, pizza wouldn’t have been created without the biggest innovation in the 16th Century. Tomatoes were introduced in Europe from the Americas. Before this time, tomatoes were not a native crop in Italy. As a result, many poor bakers started garnishing their breads with tomatoes, and the pizza was born. By the 1800s, Neapolitan pizza had become a tourist attraction, and pizzerias started popping up all over the city. In 1830, the Antica Pizzeria Port’Alba opened in Naples – which is widely believed to be the world’s first pizza shop. Today, the strong culinary tradition continues in Naples. 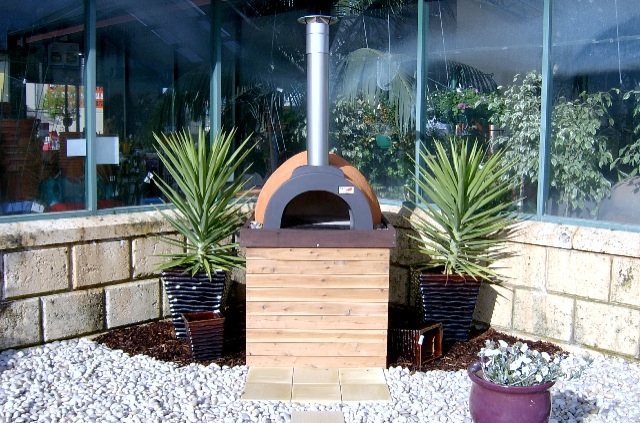 There’s even an association which regulates pizza, ensuring that traditional wood-fired pizza ovens continue to be used.